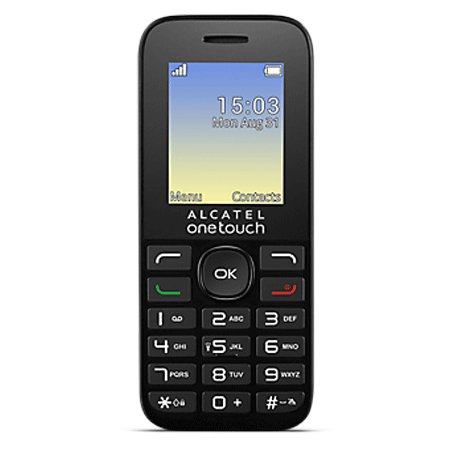 With 4 MB of internal memory the device features a removable Li-ion 400 mAh battery giving up to 160 hours of standby time and up to 3 hours of talk time. The device features a handy FM built in radio for music and up to date news bulletins on the go. The one Touch 10.16G comes with a clear 1.8 inch TFT colour screen. There’s a handy alarm clock and torch together with a useful calendar and currency convertor all designed to make life that little bit easier. The One Touch 10.16G measures 4.27 x 1.77 x 0.50 inches and weighs in at 2.22 ounces. With its simple menus and easy to use display, navigation around the device is a breeze. 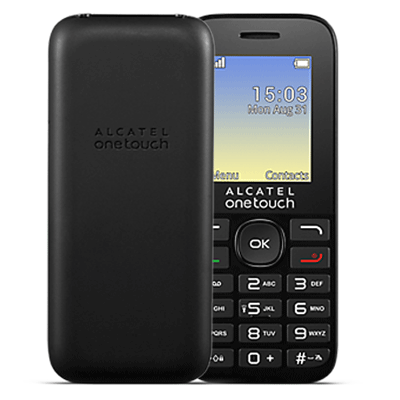 Its small design makes the device easy to use one handed and with its traditional easy to press 12 key phone pad calling friends couldn’t be simpler.